Like a lot of women, I’ve spent most of my life scrutinizing my appearance. From the color of my hair and shape of my brows to the clarity of my skin and the shape of my body. Oh the shape of my body. My weight has been a struggle for me was at 16. I had graduated high school, was now attending college part time, and working full time. This meant that the days of just eating at home around my work schedule were over. Now I needed to find food to eat while I was at work and commuting between school, work, and home. This definitely posed a problem that I hadn’t dealt with before. With some pre-planning and calorie counting I was able to drop the extra 15 pounds and get back to my regular weight. Aside from the incident above and a few more minor periods of less than 10 pounds gains where I could still fit into the same clothes, I’ve maintained the same weight for most of my life aside from pregnancy. Until last year. Last year I was on medication (well, multiple medications trying to find the right one) and gained nearly 35 pounds. It pains me to type that. And the weight really did creep up on me. I hadn’t changed my diet much and aside from exercising the year before, hadn’t exercised regularly in over 10 years. But somehow on medication that was making me extremely fatigued and sleeping way more than a normal person should, the pounds packed on. I spent most of the time concentrating on alleviating more serious side effects like heart palpitations that I just kept going along until it got to be too much. The medications were no longer working and the number on the scale just kept climbing. My steady weight had now climbed to levels it had only seen during my first pregnancy and didn’t even reach in my second, but this time I was so far off course that I didn’t know if I was capable of making the hard changes and sacrifices necessary to get back to where I needed to be. As cliche as it may sound, I vowed in 2017 I was going to take the tough steps and lose this excess weight. Not only to look better but to feel better and set good examples for my girls. I want them to have a positive example of what healthy eating and weight loss (when necessary) looks like. 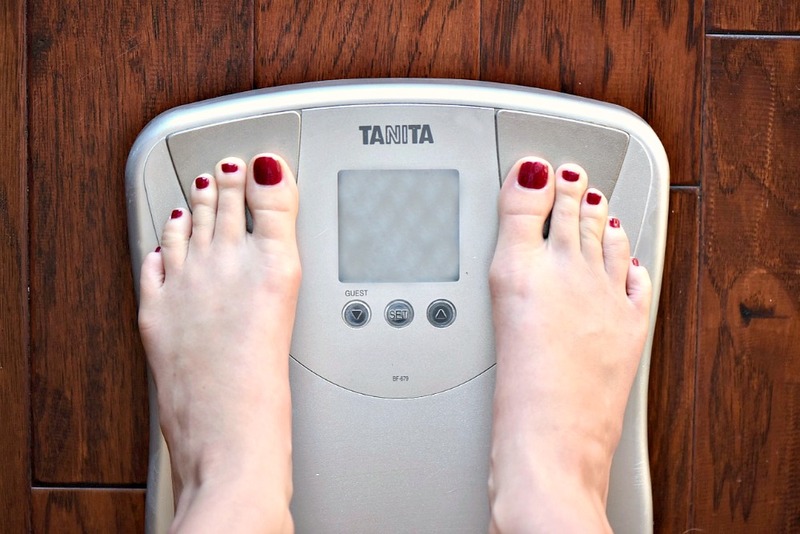 I opted to work with Jenny Craig and use the proven methods that they’ve established to help me get my weight loss started. It started with a personalized intake interview to gather information about my current weight, goals, and any dietary restrictions I had. A phone call was scheduled to take place with one of the helpful Jenny Craig consultants before receiving my first order to briefly explain the program and answer any questions I might have had. If you’re worried that you may be hungry while on Jenny Craig, I found this to be anything but true. 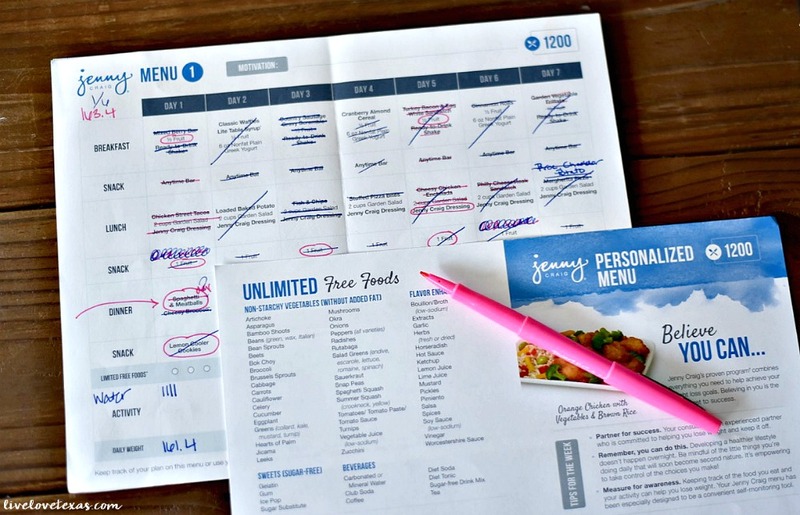 Because of my busy schedule, I convinced myself it was healthier and easier to just skip my meals before doing Jenny Craig. 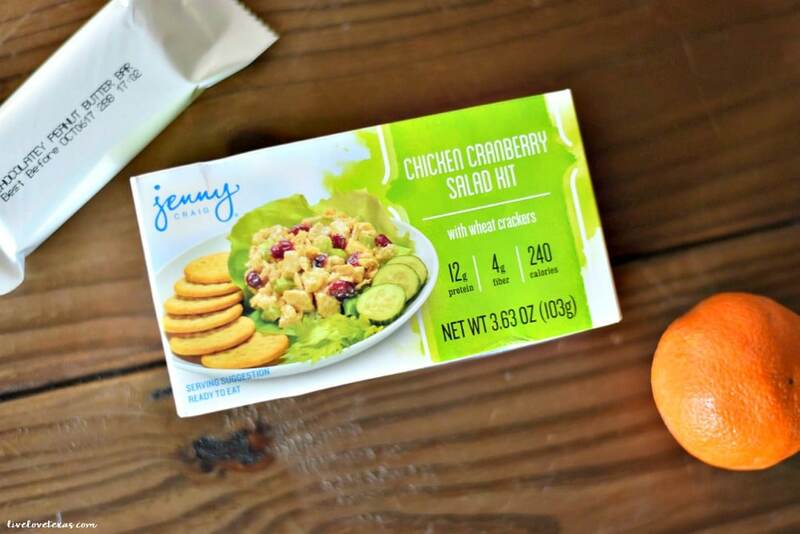 However, once I started the Jenny Craig plan I found this must have restarted my metabolism because instead of being able to hold out until dinner time I now felt hunger pangs and having the permission to eat Jenny Craig approved snack bars (the chocolate chip cookie dough are my favorite) or fruit helped get me through until the next meal. Another thing I like is that on days we’re traveling, I can pick days that have meals which don’t require refrigeration or heating and can have everything I need for lunch and snacks, ready to go! 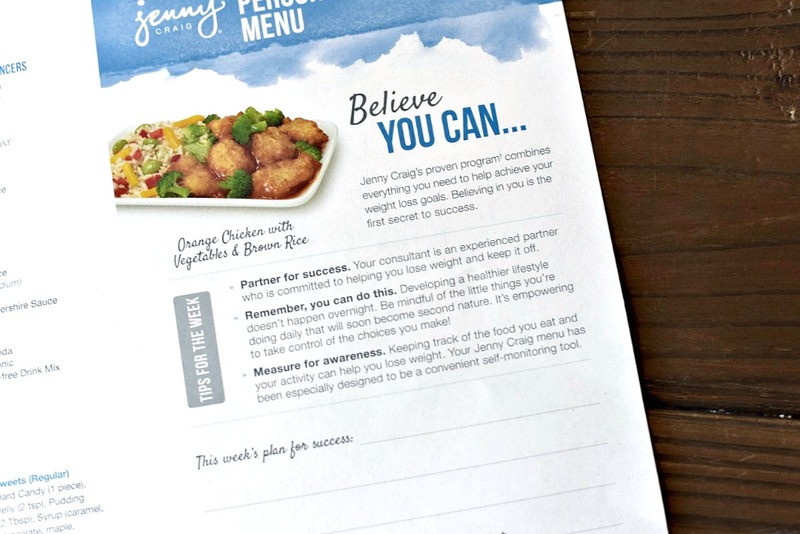 Three weeks of Jenny Craig meals and snacks were delivered via UPS on dry ice along with menus for each month. I was instructed to follow each day’s menu as planned as far as the foods that are assigned, however, was given the option to move things around such as swapping breakfast around with lunch. 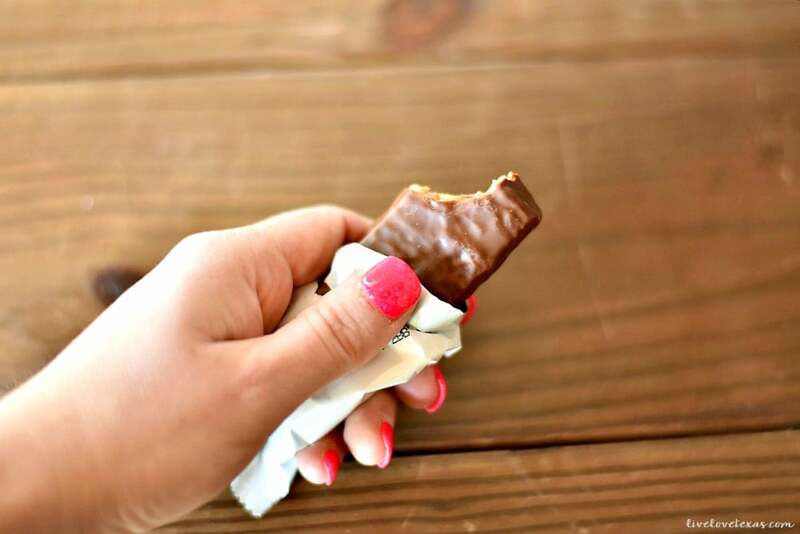 I found that making little tweaks like this was great to help keep me on track with cravings I may be having but also so I could pair up my Jenny Craig with what my family might be eating. If it’s spaghetti night for the rest of the family, then that’s what I had as well. Plating my meals also made me feel like I was eating a real meal with the family and provided a good picture of what an appropriate portion size should look like. Each week, your consultant will work with you on your menu, discuss any challenges from the previous week and determine a plan for the week ahead. Plus, your consultant will keep track of your success with weekly weigh-ins and teach you how to self-monitor. I found discussing upcoming plans to eat out with my consultant prior to the date helped me identify foods that I should avoid and all of the options that were available for me. Don’t worry, even if you don’t live near a Jenny Craig center, you can take advantage of Jenny Craig Anywhere and receive the same support over the phone or via video chat! I can’t wait to share my final results with you after completing the full four weeks of Jenny Craig!